My name is Megan Maus and I am 31 years old. 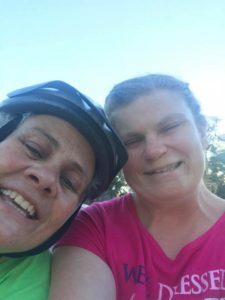 I have lived at The Haven since 2013 when I moved in to Jacquelyn’s I was a little nervous to leave my last home but I was excited to meet my new friends at The Haven. We went on a vacation to Chicago a little bit after I moved to Jacquelyn’s House and it helped me feel more comfortable because we all had fun together. It was my first vacation with my new housemates and it gave me a chance to get to know everyone! Pretty soon I wasn’t so nervous anymore! Before I moved to The Haven I lived at another group home and we didn’t go on trips or plan fun things to do like we do at the Haven. It was a little boring because the most exciting thing we did was watch TV. That is why I am very happy to live at Jacquelyn’s House. When I am at The Haven we do so many fun things! Sometimes it is nice to just relax and hang out at home but it makes me happy that my houseparent’s give us opportunities to have fun either on campus or off campus. We do so many exciting things…we even have a BIG party coming up in May and I am looking forward to getting my hair done and finding a nice dress to wear to it! Carol is one of my houseparent’s but now she manages all of the houseparent’s. I love her to death! She supports my goals, has helped me become successful, and encourages me to try new things. I really like her! On most days, I enjoy riding my bike with my neighbors and our houseparent’s. Sometimes we like to play basketball and bocce ball in our park or taking trips in to the community to volunteer or have fun. In the morning I attend Adult Day Training (ADT) classes at the Haven! I have worked at Heavenly Haven Bakery since 2013 and I have a cookie named after me called Megan’s Best Chocolate Chip Cookie! With the help of my bakery instructor, Liz, I perfected a cookie recipe that we sell in the bakery! She is one of my favorite teachers because she really took the time to get to know me and help me learn my way around the kitchen! Plus she is really funny and makes us all laugh – lots! Working in the bakery has helped me feel comfortable in a big culinary kitchen. I know best food practices, knife and food safety, and all kinds of food prep and cleaning skills. The training I learned in my ADT vocational and life skills classes prepared me to find a job in the community. After a few years at Heavenly Haven Bakery, The Haven’s CEO Brad and Liz encouraged me to consider a job opportunity at a local restaurant! I was so excited when I received the phone call from the restaurant manager! I got the job! I do everything at my job. I help with the cash register, provide support to my coworkers and manager, prep food, and assist our customers. I still work at the bakery because I love working with my friends at The Haven but five days a week I work off-campus. I really love both of my jobs and I wouldn’t have had this opportunity without the training my instructors have given me. I am very thankful to be at The Haven. I feel supported and I feel like the people who work here love me and want me to be happy in my life. I am not finished yet and I have other goals I want to accomplish. 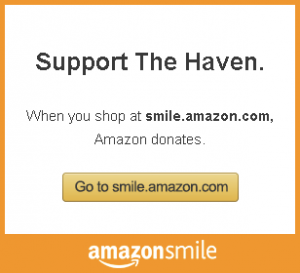 Thank you for believing in me and helping The Haven support my goals in life!